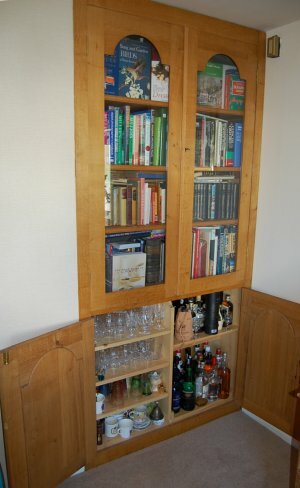 Made from oak, the bookshelves were all adjustable in height and there was a slide out shelf to rest books on or to use when pouring drinks. 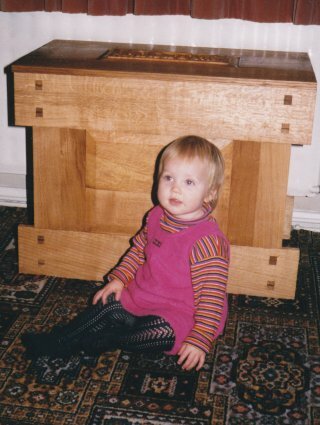 I made this for my niece Molly, to put her toys in. 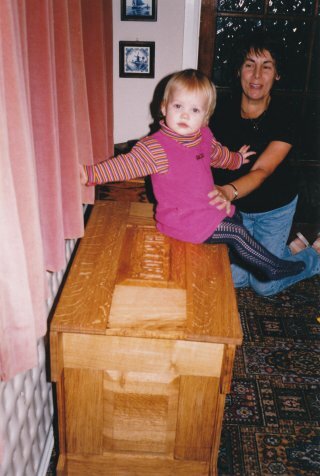 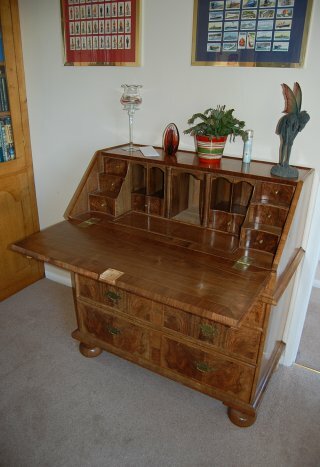 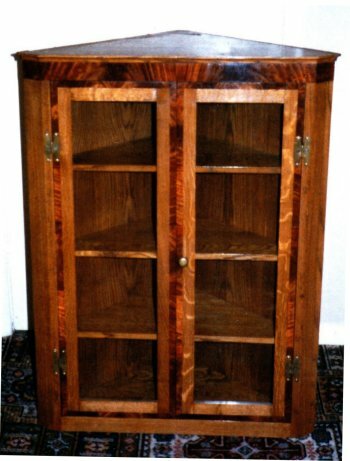 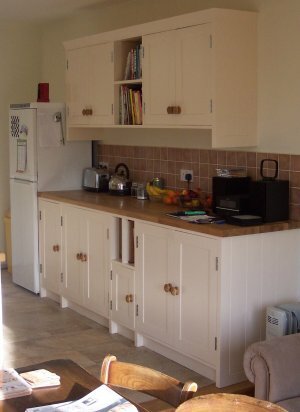 I made this in my final year at Basford Hall College, where I studied Cabinet Making and Furniture restoration. 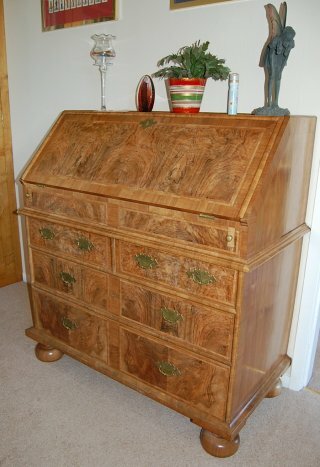 It is walnut veneer on oak and took about 950 hours to complete using traditional hand tools and modern wood machinery. 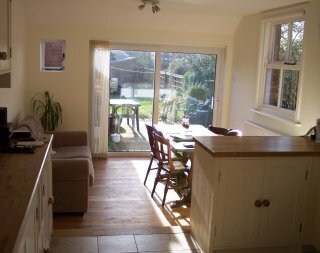 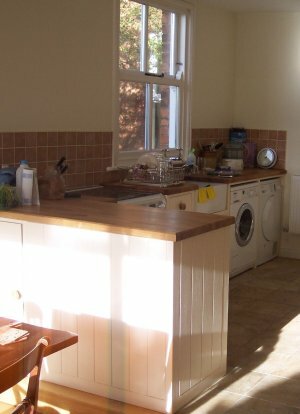 I’ve included these pictures in my project gallery because it’s my kitchen at home and after having two rooms knocked in to one, it gave me the perfect opportunity to have a go at designing my own kitchen – with help from the wife of course! 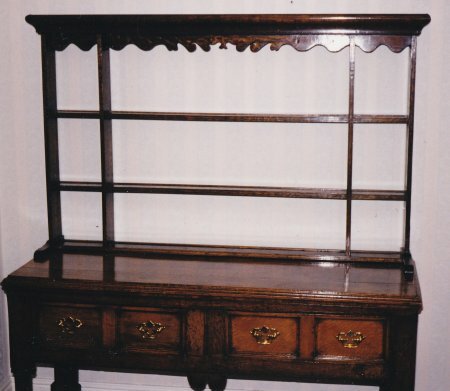 A customer asked me to make a plate rack to go with his existing dresser. 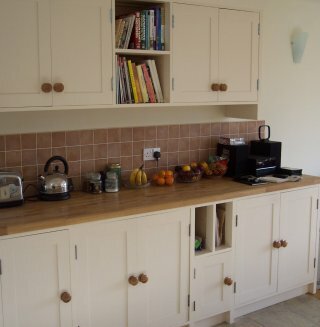 I designed it using period decorative features on the crest rail and colour matched it successfully. 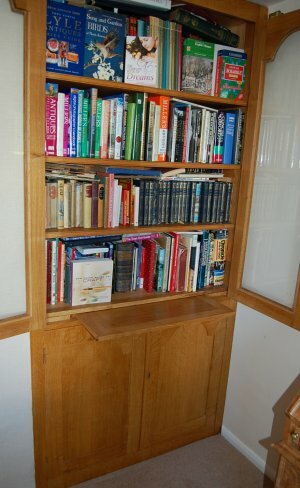 I built this replica of a corner cupboard the customer already had.